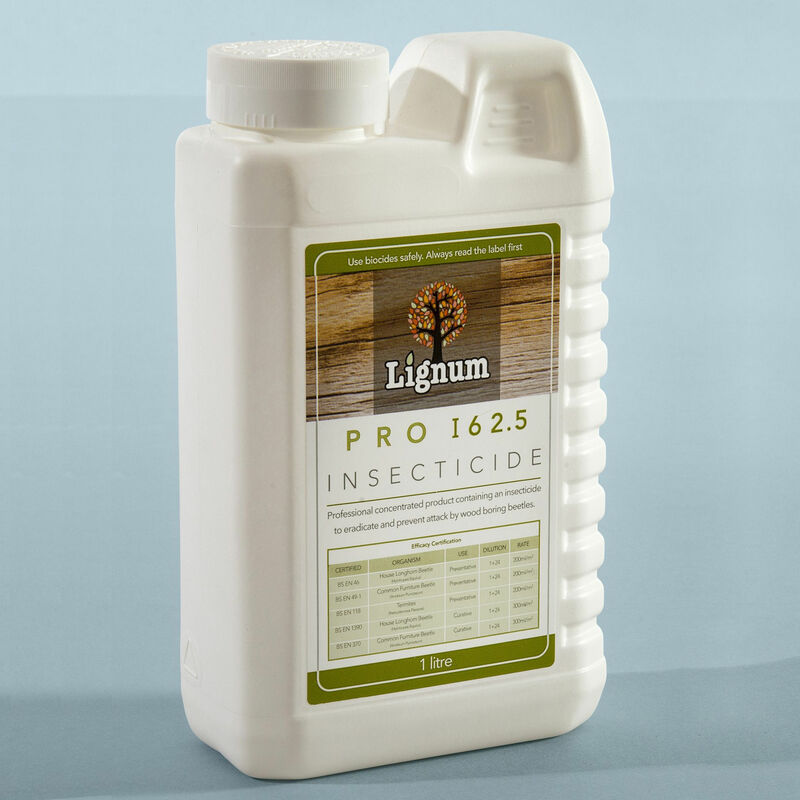 Lignum Pro D156 is supplied in a 1litre concentrate, which is diluted according to its intended use. For use in preventing white and brown wood rot and protecting against blue staining fungi it is mixed with clean water at a ratio of 2:23 to produce 25 litres of ready to use timber preservative. 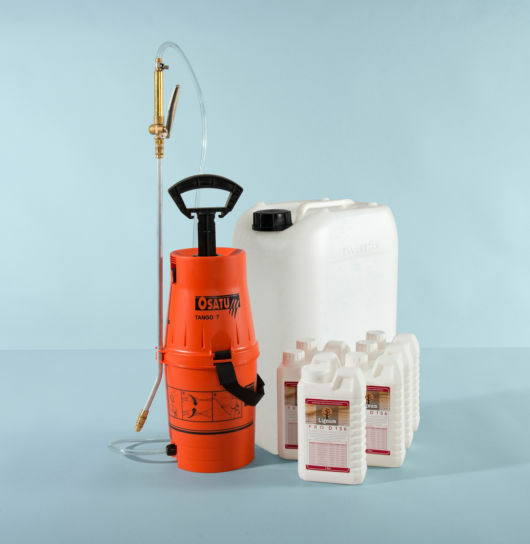 For use in preventing or treating woodworm attack it is mixed with clean water at a ratio of 1:24 to produce 25 litres of ready to use woodworm killer. Permethrin 31.25g/L; for treating woodworm and other wood boring insects. Propiconazole 93.75g/L; for protection against a range of wood rotting fungi. Apply 2:23 diluted fluid at the rate of 200ml/m2, using 1L of diluted fluid to protect a surface area of 5.0m2 (25L of diluted fluid to protect a surface area of 125m2). Apply 1:24 diluted fluid at the rate of 300ml/m2, using 1L of diluted fluid to protect a surface area of 3.3m2 of infested timber (25L of diluted fluid to protect a surface area of 82.5m2). Remember to calculate the full exposed surface area when ordering. For example floorboards in a 4m x 3m room will have 12m2 upper surface and a 12m2 surface underneath. The floorboards may be supported by ten 150mm x 50mm joists with three exposed surfaces. Therefore in addition to the 24m2 floorboard surface there is a further 10.5m2 of accessible joist surface area to treat (150mm + 150mm + 50mm x 3m long x 10 joists = 10.5m2). 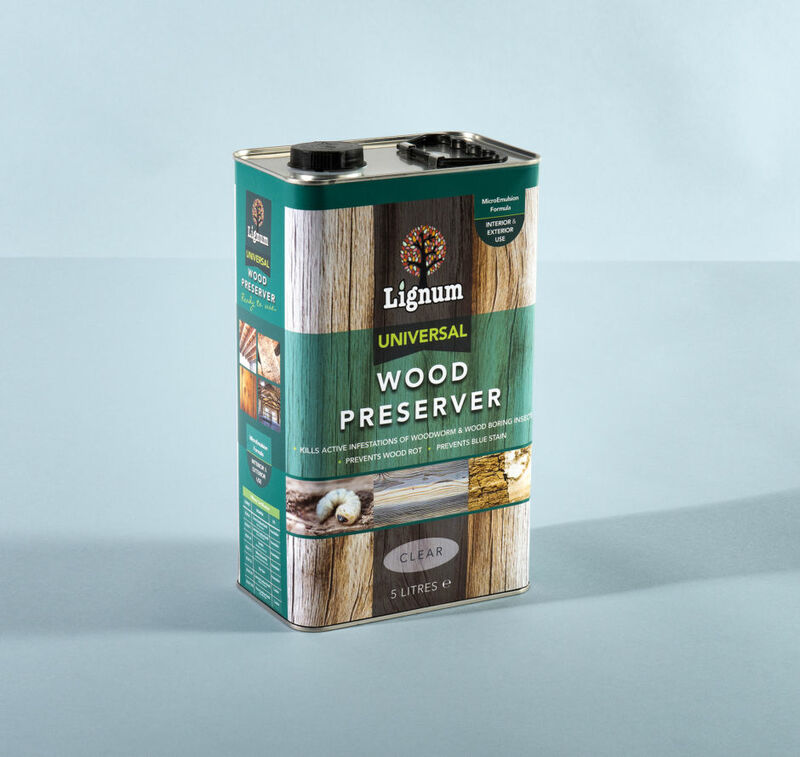 This high-strength multi-purpose wood preservative is designed for professional use in eradicating woodworm infestation and protection against wood rot fungi such as wet rot and dry rot.